Due to a new City ordinance, on January 1st, 2018 most homes listed for sale in the City of Portland are required to first obtain a Home Energy Score. Our sister company, A Quality Measurement now offers this service. 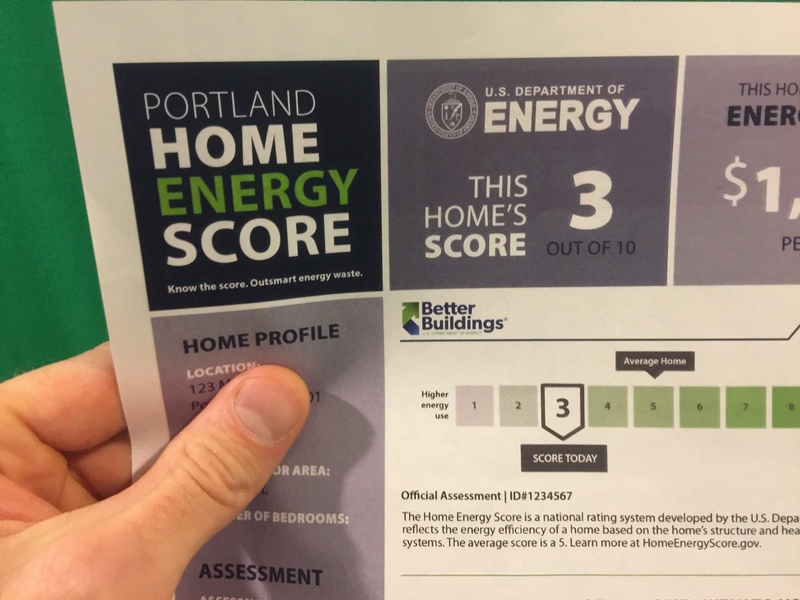 Portland’s policy is unique in that sellers are required to obtain the energy score prior to listing the home for sale. This can be a burden to sellers, but it is a benefit to buyers who want to purchase a home that uses less energy. The question that always comes up is, “If I get a low score, will my home sell for less?” I have two thoughts on this. 1. The Home Energy Score is like the miles per gallon (MPG) rating of a car. We all know that a car with a lower MPG rating is not necessarily less valuable than one with a high rating. For example, a luxury SUV may have a very low MPG in relation to a compact car. However, it is also likely that the luxury SUV will sell for more money. A low score does not necessarily equate to a low value. 2. On the other hand, a home with a lower energy score might sell for less. If two homes are equal except that one uses less energy, we can expect that a well-informed buyer will pay more for the more energy-efficient home. A long history of scientific (and unscientific) studies link a buyer’s willingness to pay more for a home that uses less energy. However, most such studies involve new homes where buyers are more likely to have information about estimated energy consumption. Now buyers of used homes in Portland will have the information and scientists, appraisers, and real estate agents will be watching to see what happens. Here is a link to a blog post where I go into more detail about existing studies. Happy New Year everyone and sorry my blogging has not been consistent of late. For appraisers, particularly those in the Portland area, last year was an incredibly busy year. Fees for appraisals went up by 50% or more in Portland. This was a shock to home buyers and others looking for appraisal services, but it represented the first raise for appraisers since the 1990s. Finally, fees in Portland are at a place where appraisers can attract fresh talent into an aging industry. Let’s hope that these gains do not disappear in the next real estate slump, leaving appraisers looking for other ways to earn a living. Speaking of other ways to make a living, many of my blog subscribers know that our company, A Quality Appraisal, LLC maintains a home measurement service, in addition to our appraisal business, that provides square footage estimates independent of an appraisal. Many appraisers also provide similar side services. This last year was eventful for our home measurement business. Luckily, after a little research and not a claim or problem, we found that most appraiser Errors and Omissions (E&O) insurance providers do not cover appraisers when they are doing a measurement that is not part of the development of an opinion of value. I was shocked when told this by one of the largest appraiser E&O providers because most appraiser E&O policies claim to protect customary professional services performed in the insured capacity as a real estate appraiser, and that many of the services appraisers can provide do not involve an opinion of value. How much more customary of a service is a measurement when almost all appraisers measure homes on almost every appraisal assignment? After I pushed back against the E&O provider, a senior underwriter of the company responded that it would come down to the definition of appraiser as described by the insurance policy, and that they would need to decide if the measurement service was “usually and customarily rendered by a real estate appraiser.” The underwriter explained that square footage estimates are not unique to the appraisal industry and non-appraisers can provide them. Coverage would only be triggered if an appraisal report underlies the square footage estimate. The senior underwriter went on to explain that when a real estate agent or broker asks an appraiser for a measurement, it is because they seek to shift liability to the appraiser. The senior underwriter also said that measurements are considered risky by insurance companies and added that “about 50% of claims presented to our company involve sq. ft. issues.” This was contrary to what I believed was true — that measurements are only a small piece of the appraisal liability and are easily verifiable. I knew if we wanted to keep our measurement customers, we needed to fix this problem. To solve it, we contacted all companies that we could find in the US that are exclusively measurement businesses and asked where they secure E&O insurance. After chasing down numerous leads and talking to many insurance providers, we found that most home measurement businesses think they are covered through architectural or real estate policies. However, like appraisal E&O policies, when we contacted the insurance companies, we found out that measurement services are not actually covered. For this reason, we sought legal advice. Thus, A Quality Measurement was split into its own business name and website, separate of A Quality Appraisal, LLC. After committing many dollars and countless hours, we believe that we have resolved our specific insurance and liability problems. We are not offering legal advice here, nor can we provide the plan our attorney put in place specific for our business. I merely suggest that if you are an appraiser doing home measurements, contact your E&O provider first to see if you are covered. Are you an appraiser who does home measurements? We would love to hear from you. Due to the shortage of appraisers in Portland, Oregon (and other places around the country), appraisers are bombarded with requests from Appraisal Management Companies (AMCs) requesting that they fill out mountains of forms; provide copies of identification, licenses, and insurance; submit to background checks, provide examples of work; and apply to be on the AMC’s roster of appraisers. So how do appraisers know if the AMC will be a trusted client? How do appraisers know if the AMC will treat them fairly? Will appraisers be confident that private information will be safe? The AMCs vet appraisers, but do appraisers screen AMCs? Perhaps appraisers need to scrutinize AMCs just as diligently before doing business with them. Here is a list of seventeen things appraisers could do before signing up on that next AMC roster. Most states require that AMCs obtain licenses. 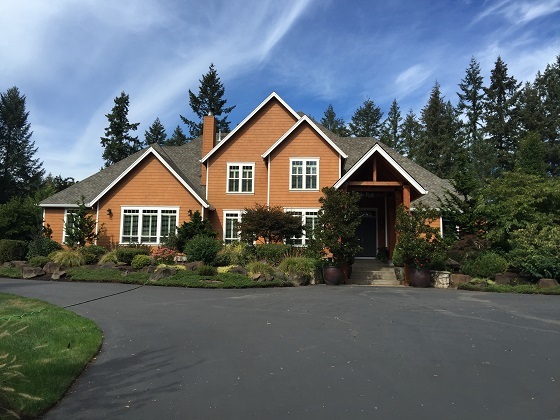 In Oregon, appraisers can go to the AMC Database put out by the Appraiser Certification and Licensure Board (ACLB) to see if the AMC has a license in good standing. Appraisers can also call the appropriate state AMC regulator for information that might not be available online. You worked too hard for your license to work for someone who is not licensed. Ask the AMC if they have ever been investigated by any state AMC regulators or if they have been involved in any lawsuits related to appraisal management. If so, ask them to explain the outcome of the investigation. Obtain the AMC’s list of base or minimum fees paid for common appraisal products in your area. If starting fees are not acceptable, then you do not need to waste your time moving forward with the AMC screening process. Inquire how many days before appraisers can expect to be paid following completion of the appraisal report. Remember money in 15 days is much more valuable than money in 90 days, especially in terms of business operation. Don’t work for AMCs that fund their growth on loans from independent appraisers unless you are compensated appropriately for risk and interest on credit. Request copies of the AMC’s liability insurance and find out what that insurance covers. Would it cover a vendor appraiser who accidentally caused property damage at a subject property? Determine if there are any fees associated with delivery of appraisals to the AMC’s online portal. Many AMCs offset the cost of their technology through delivery fees to appraisers. If the AMC has a “technology fee” don’t worry, you can add this to the price of your appraisal along with the appropriate third-party outsourcing markup. Google the AMC’s name and see what comes up. This might seem obvious, but some AMCs have been in the news for lawsuits related to unfavorable treatment of appraisers. You do not want to waste your time vetting an AMC that has a bad reputation. Even if no lawsuits come up, a quick Google search could result in a feel for the company and let you know if this is a company you want to work for. Remember that homeowners might think you work for this AMC when you show up to do the appraisal. Is this a company that you are okay with if homeowners get confused and think you work for them? Go to national online appraiser Forums like 100% Real Estate Appraisers or I am a Real Estate Appraiser or a local appraiser forum like Portland’s NW Appraiser Forum and search the group for threads about that AMC. If you don’t find a thread, put one out there like, “Anyone ever worked with AnytownAMC? Was it a good experience? Did they pay you fairly and quickly?” You might be surprised how much you find out. Ask for references from other appraisers who have worked with the AMC recently. You can interview those appraisers and ask if they have been treated well. Just remember that the appraisers on the reference list are more likely to speak positively about the AMC. Request that the AMC obtains a business credit report through your favorite business credit reporting company. Reports cost between $30 and $100, but you can ask the AMC to pay for this expense in exchange for your consideration with being on their roster of appraisers. Doing business with an AMC that has poor credit could cost you big. Several years ago, I had to send several threatening letters to one AMC and book flights to visit them before getting paid. Soon after I was paid, the AMC went out of business. I found out through social media that other appraisers had been stiffed by that same company. Obtain temporary access to the AMC’s online appraisal delivery portal. If the AMC has a poor online ordering system, then working for them might be a headache. Review the AMC’s policy on appraiser performance scoring. Suppose that you only accepted more complex assignments (those that tend to raise more quality control red flags and take longer to complete) but you always complete the project on time. Will your performance score look inferior to another appraiser who only accepts easy assignments? Determine if the AMC (not Fannie Mae, we already know what they do with appraisal data) is collecting data from the appraisals they manage and if so, will that data ever be sold? Ask for a copies of the AMC standard engagement and independent contractor agreements. The appraiser can skim the contracts for non-customary appraisal requirements such as, required interior closet photos on all appraisals. Ask your attorney to review the agreements. It is likely that the AMC engagement agreement moves too much liability from the AMC to the appraiser (you would do the same if your lawyer wrote the contract), so it is important for appraisers and their attorneys to amend the AMC engagement agreement to bring the liability back into balance or avoid working with some AMCs. Amending these long engagements can be costly, but do not forget that such costs will be billed back to the AMC in the form of higher fees. Review documentation concerning the AMC’s request for value reconsideration process. It is likely that if you appraise for an AMC long enough, someone will dispute your value opinion. It is important to know in advance if the AMC has a fair process for value reconsideration, or one that puts undue burden on the appraiser. Check the AMC’s data protection policy and ask what steps have been taken to keep your private information safe. Also ask if the AMC has ever had any data breaches and if so, determine what systems have been put into place to ensure that data breaches do not happen again. Does the AMC have a policy that requires them to alert appraisers if they believe a data breach was possible? I hope that you find this list helpful even though it is written partly in jest. My goal is to elicit thought and discussion about the imbalance of power and liability in our industry as it relates to appraisals done for AMCs and lenders. Remember that if an AMC fails in parts of your vetting process, the appraiser could charge a complex client fee to account for the shortcomings. If you missed my interview with The Appraiser Coach Dustin Harris, about my blog and how our business focuses on non-lender (non-AMC) type appraisal work, Click Here. I just returned from a daytrip to Las Vegas where I addressed the attendees of the Appraisal Summit and Expo. It was such an honor to speak at this event alongside my business mentor Roy Meyer and to meet some of the most involved and inspirational people in the appraisal industry. My only wish is that I would have been able to stay longer to build more connections and listen to more of the speakers. Also while in Vegas, I was interviewed for an upcoming episode of the Appraiser Coach Podcast with Dustin Harris, I got to meet Jeff Bradford and demo the new Bradford Technologies Appraiser Mobile App, and I received a live a demo of ANOW appraiser business management software. Talking directly to the people behind these brands and seeing them in action is so much more valuable than visiting a website. It was definitely a worthwhile trip. If you were at Appraisal Summit and Expo, hopefully we got a chance to meet. If we did not connect, please get in touch with me online and perhaps we can meet up at the next big appraisal event. One of the things that I most enjoy about being an appraiser is meeting appraisers from all over the country.